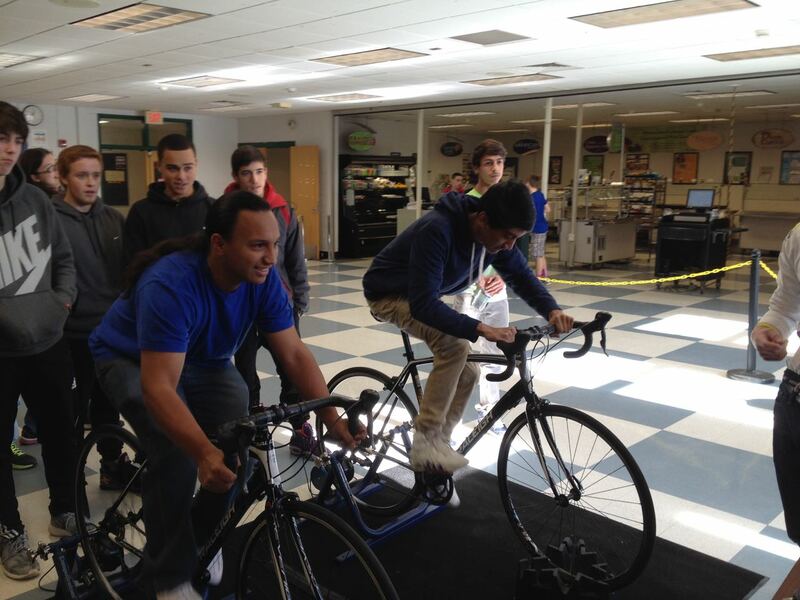 Yesterday, the Connecticut Cycling Advancement Program visited LHS. 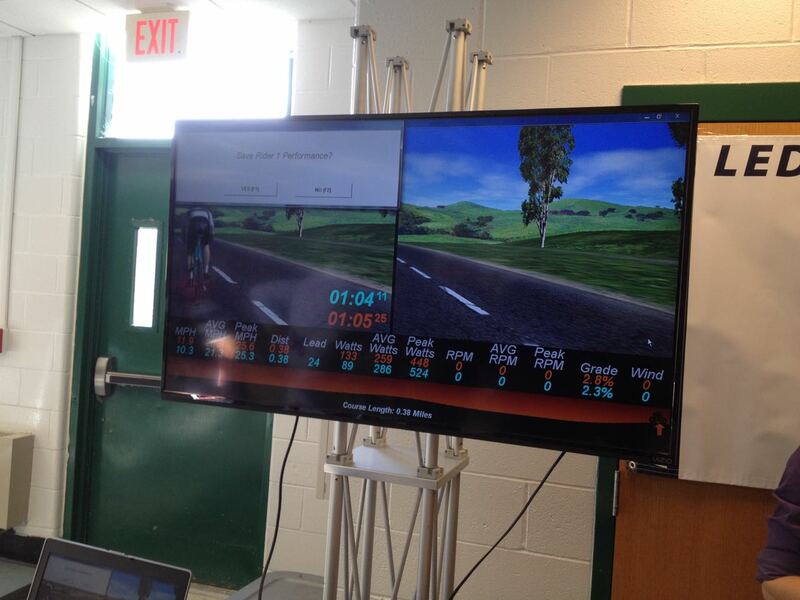 They brought their computrainers and students participated in virtual racing during our lunch waves. This is the second time they have come and it's been so popular! More students than ever are interested and participating in cycling at LHS. This spring will shape up to be another great season with many returning and new faces. We have programs for all abilities, so see Mr. Jannke in room 211 or email him at kjannke@ledyard.net if you are interested in joining, just for fun or competition. A big thank you to Xavier Edwards for the photos below. 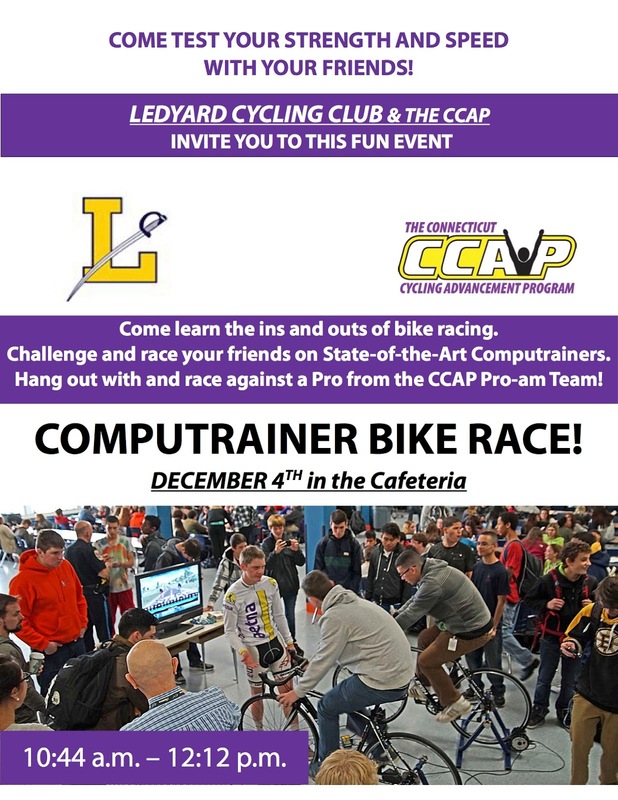 Come join us for a computrainer bike race in the cafeteria during lunch on Thursday, December 4. Partner up with a friend and race on a state of the art computer simulation system. Click on the image below for more info.